Hear the country singer play tracks from "Southeastern" the same year it was released. In 2013, country singer Jason Isbell released his second solo album, Southeastern. It was widely regarded as his best work to date, a collection of superb songwriting, steady vocals and affecting storytelling. Since then, the country lyricist and rock ‘n’ roll bandleader has released another solo album, 2015’s Something More Than Free, and an album with his band the 400 Unit, last year’s excellent The Nashville Sound, promptly giving Southeastern a run for its money in the Isbell’s-best-work department (see our review). 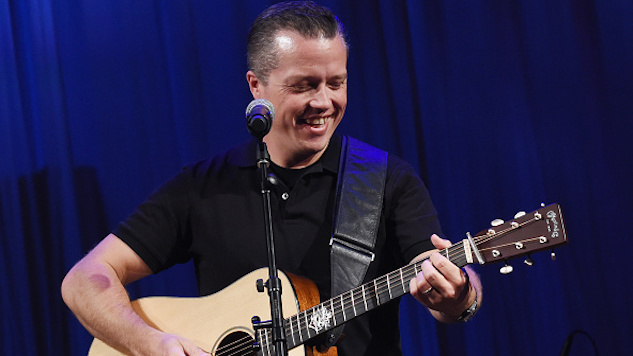 Jason Isbell & the 400 Unit also released another album just last week, Live from the Ryman, which includes songs from all three of Isbell’s most recent albums, recorded at Nashville’s legendary Ryman Auditorium. To commemorate that release, Jason Isbell & the 400 Unit are currently playing a six-night residency at the Ryman, continuing now through Oct. 28. That same year, our critic wrote, “By any reasonable aesthetic criteria, Southeastern is a triumph. It’s a vindication for those of us who have charted our lives by his work, carrying songs like ‘Outfit’ around like talismans. It’s the most potent expression to date of Isbell’s talent (including his [Drive-By Truckers] output) and, hopefully, a harbinger of great things to come.” Based off the events (and Grammy nominations) that have since unfolded, it’s probably safe to say Isbell made good on that 2013 prediction. Again, you can listen to Jason Isbell’s 2013 Daytrotter session below. Revisit the Paste review of Southeastern right here.